That would be because this is my office. My dryer has been broken for almost a week (YUCK!!) and we are getting new windows tomorrow (YEA!!). 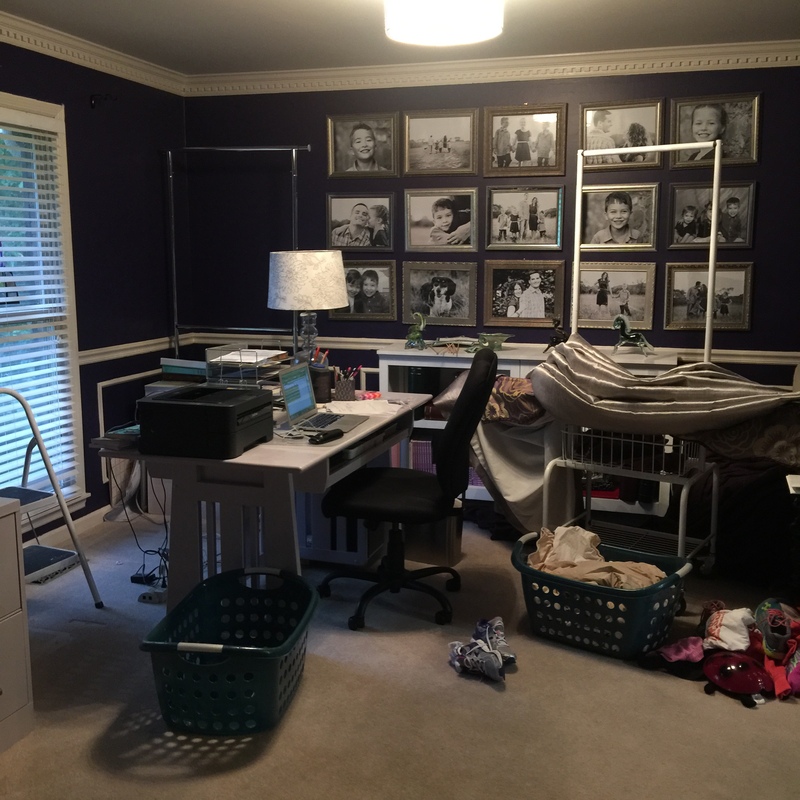 So life is chaos and my office is littered with laundry room stuff and curtains. I have been running my dryer 7 times basically fluffing and air drying ONE single load a day. I went to Target to buy washcloths today because I don’t EVEN want to think about how many times through the fluff cycle something that thick would take! I am considering hanging undies and bras from the ceiling fans because I am too cheap to buy more of those 😉 The most I could be motivated to write would be “why I hate my over priced Samsung washer and dryer and will never buy again. ‪#‎FrontLoadersStink‬”. If you haven’t already, Like my FB page for more fun with the Southern Lady Mama!